Have students help you create your candy markers. Be sure to focus on the math facts that they have been practicing that week/month. Cut small pieces of paper and have students write the matches (i.e. 2X2 and 4 would be a match). Tape these onto the bottom of the candy. When all the matches are complete, have the students mix them up and play the classic game of Memory with their peers. Observe and record the student’s multiplication skills. What sets did they struggle with? You can go back and practice these with them one-on-one or during small group instruction at a later time. 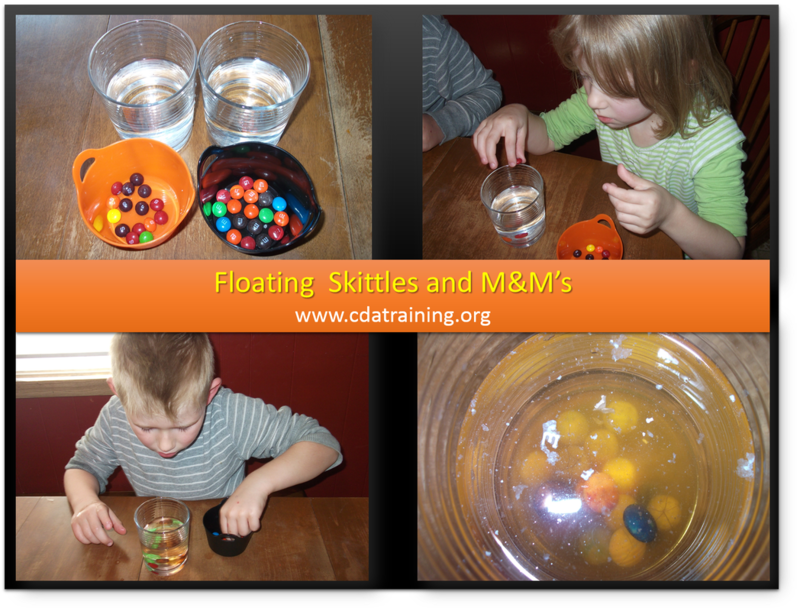 Place Skittles or M&Ms into a cup of water letter side up. Be careful not to shake or stir the water. Watch as the letter slowly starts to float to the top of the water. Not all the letters will make it fully intact!